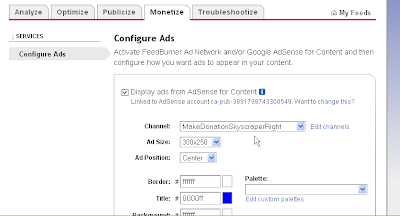 But, Google has since taken matters into their own hands, developing an easy integration for feeds with their Adsense service. And, they will help you set-up the account. But, please note that it is mandatory that you use your Google Account to use Adsense for your feeds. After you have emailed the above information to Google, they will email you to outline the next steps for completing your feed migration. Wow! This is the first I'm hearing of this. Why didn't they announce this??? Thank you for this post! 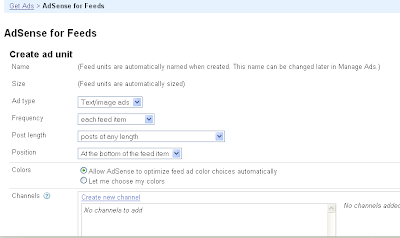 I just went into my adsense account and noticed the option to add the migration to the feed! I have just emailed google to get my account set up. how and where i can add feeds in my site ,and how much will i get paid for this ? Followed the instructions at the associatedcontent.com link in the previous comment. It was fairly straightforward, though there was a bit of shooting from the hip. Now, time will tell (after the next post) if it's working correctly.